When you first log in, you are at home page (left side) and NEWS FEED is showed on the right (1). 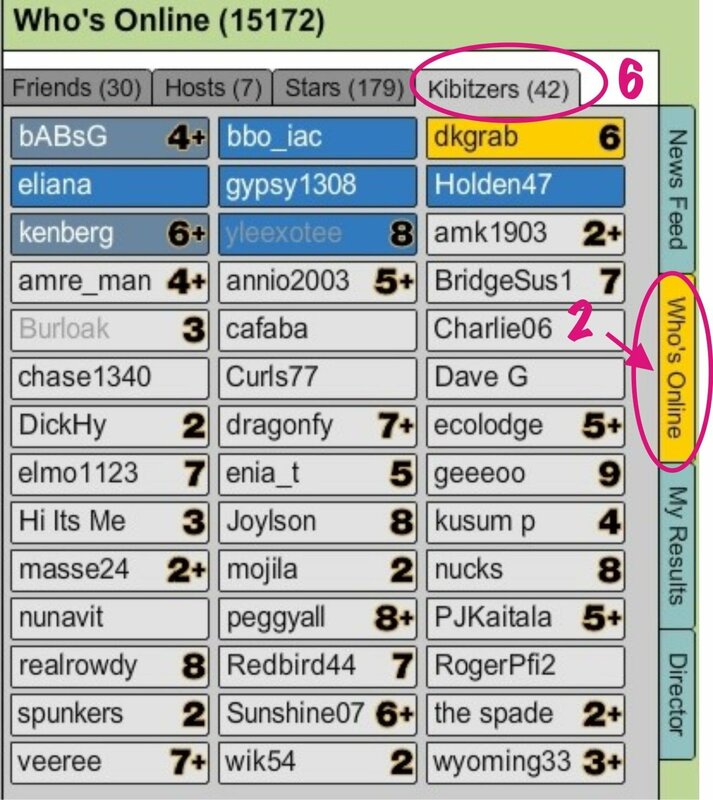 DIRECTOR tab (4) is visible only to usernames that have TD privileges at BBO. 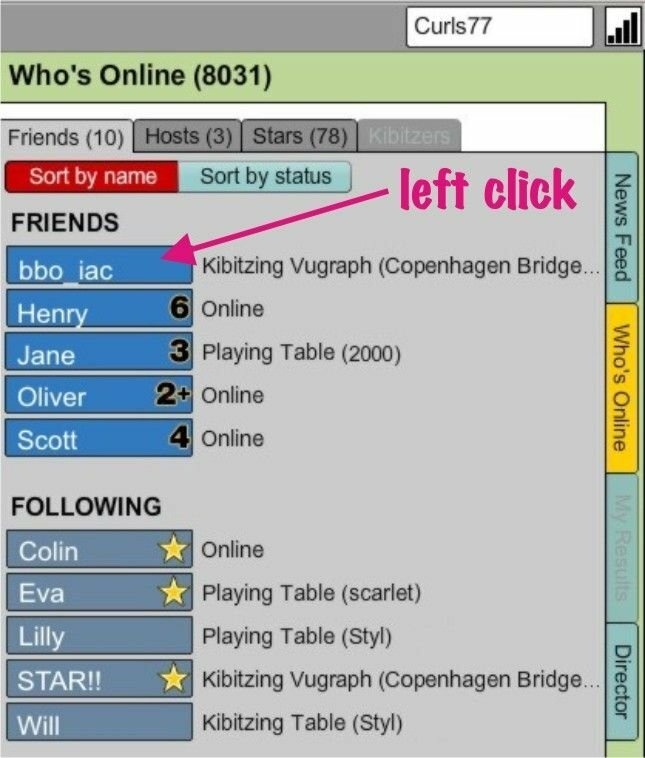 MY RESULTS tab opens automatically when you join a table, to play or kibitz (3). 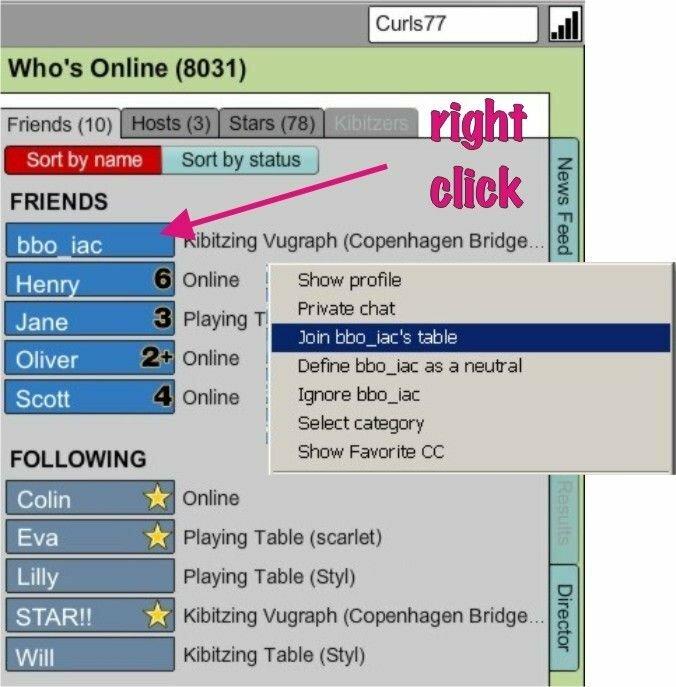 To see who is online, you must click on WHO&apos;S ONLINE (2). FRIENDS are people that you marked as a friend, and they marked you as a friend. FOLLOWING - you marked them as friends, but they did not set you as a friend yet. 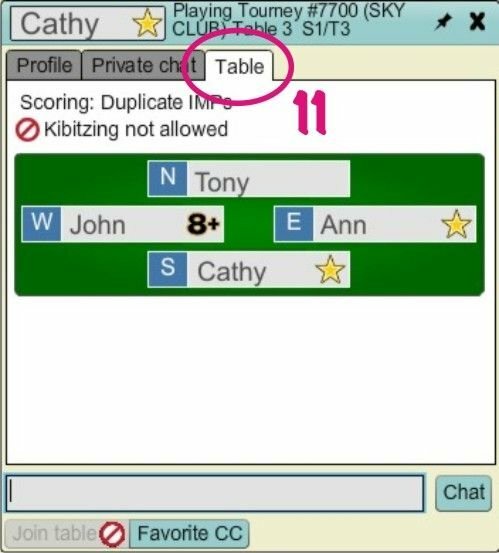 To find out who is kibitzing while you play, or watching same table you kibitz, be sure WHO&apos;S ONLINE (2) tab is selected and at the top click on KIBITZERS (6). The Friend list is automated, as soon as someone logs off their name simply vanishes. Kibitzer list is not auto-updated unfortunately, that&apos;s why if you want to know who is there in that exact moment, click to friends (5), then back to kibs (6) and list will get updated. NOTE: Sometimes you can accidently double click on certain tab, for example WHO&apos;s ONLINE, and whole right area of screen will dessapear and lobby or table will occupy whole screen. Do not panic :) Just (single) click that tab again, and your friend list will reapear. 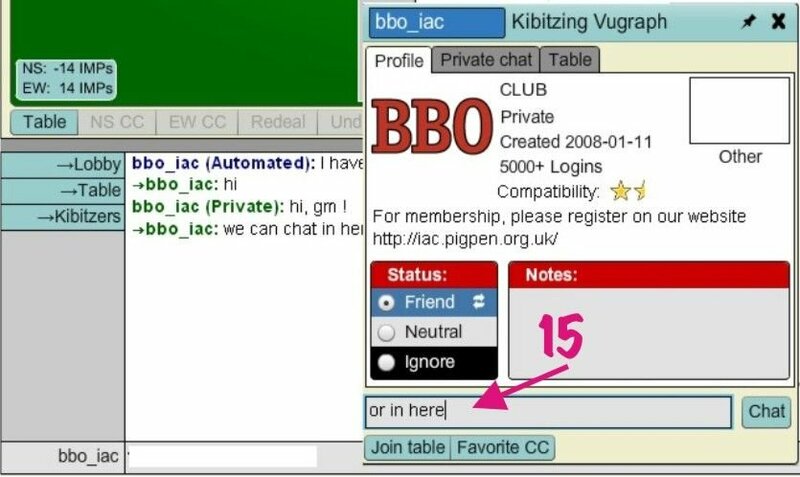 If TABLE is selected, your chat will be seen by all kibs and all players. 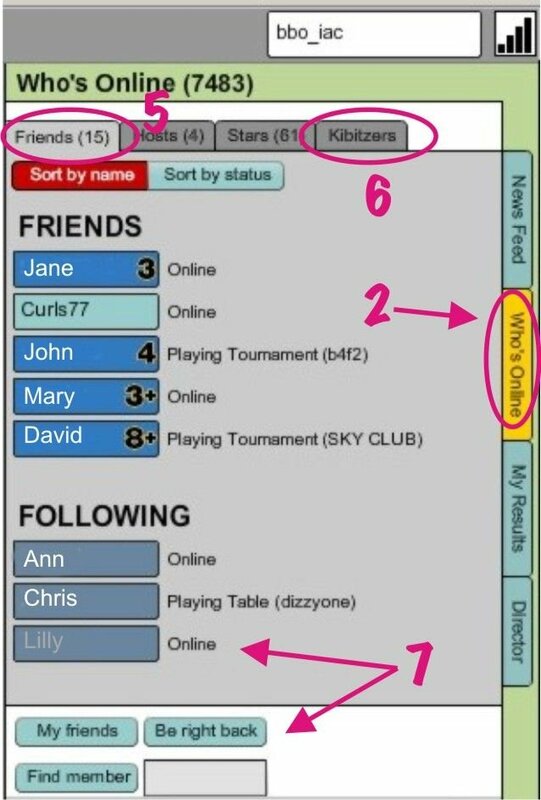 As it&apos;s on the screen shot, KIBITZER is selected so only kibs will see what you type. (9). When you (left) click on the name of some friend, (unless you changed default options) their profile opens. 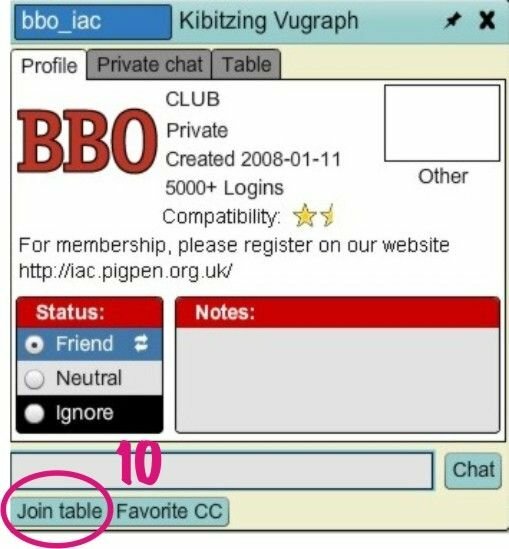 If your friend is playing or kibitzing an "open" table (table that doesn&apos;t have kibs forbidden), you can join their table by clicking at JOIN TABLE (10). You can check whom they watch / / play with if you click on TABLE tab (11). 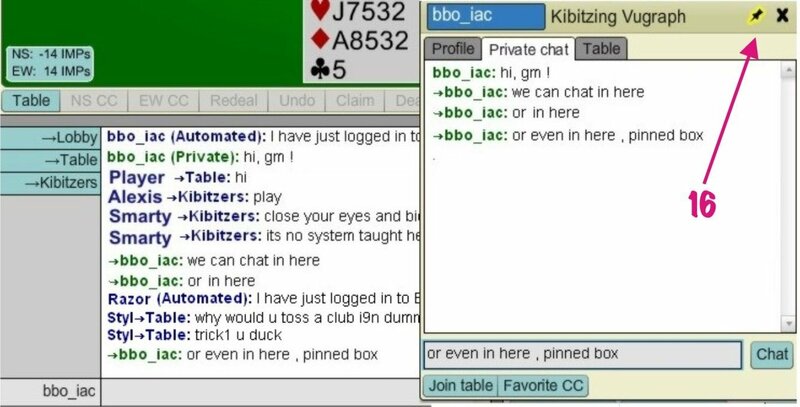 Shot bellow shows friend that is playing non-watchable tournament (Join table button is greyed out). 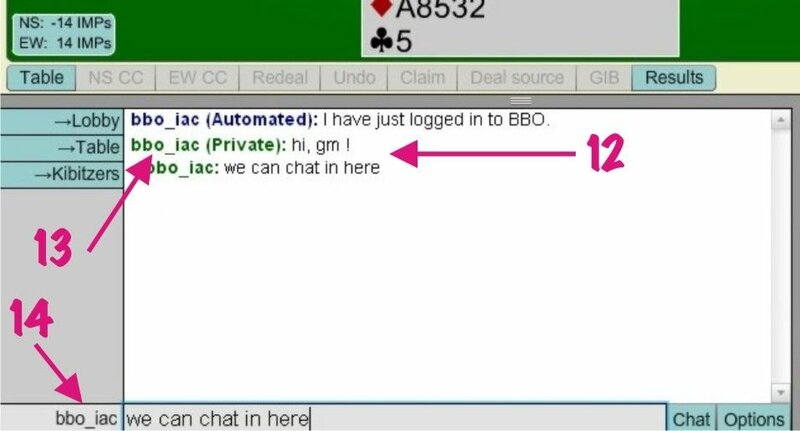 There are several different ways you can chat with another BBO member (friend or not). As already said, left click on friend&apos;s name (13) opens their profile. You can privately chat from there as well (15). The profile closes automatically after few seconds, to not obtuse your view of the table or results. 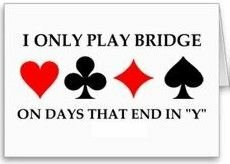 But if you wish it to stay all the time, in case you are having continuous long discussion, and do not want it mixed with other chat (table, vugraph announcements, etc). drag the profile window into the area of the screen that suits you best click on the pin (16), and there you&apos;ll have ONLY chat between you two. Please note spots marked above. They are all movable. If you click on them and drag them up-down or left right, you can resize that part of your screen. Very useful if you need to review last board or similar. Sometimes happens that chat box gets messed up (after you typed a long multiple line message)- You fix that by dragging up and down the separator between chat area and the table. If you right click in chat area, you can select to clear chat, or resize it, making it bigger for easier reading.